Today marks the start of Student Volunteering Week 2014, an annual celebration in England now supported by the National Union of Students (NUS) and Student Hubs. My new book argues that higher education students have made significant contributions to social change in modern Britain through their commitment to a wide range of causes and campaigns. Activities including student volunteering, fundraising and social action have rarely received the same attention as political protest on campus, despite involving greater numbers of students and being a prominent feature of every student generation. Yet volunteering (or social service as it was earlier known) was core to the emergence of a distinct student movement in twentieth-century Britain. Service strengthened student identity at what were before the 1960s mostly non-residential universities and colleges. 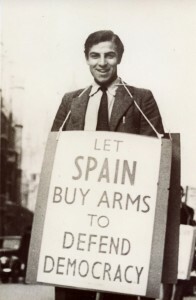 In England, before the formation of the NUS in 1922, the Student Christian Movement’s social service committee and the Universities’ Committee of the Imperial War Relief Fund provided valuable meeting places for student leaders from Oxbridge, the London colleges and the civic universities. Rag and social service committees were some of the earliest societies that brought students from different backgrounds together. In the 1930s what I call a ‘student popular front’ was forged through social and political action on domestic and international issues including the Spanish Civil War, the Depression and the Nazi refugee crisis. 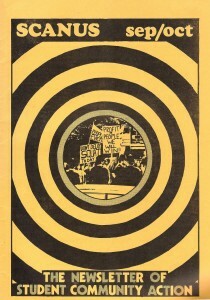 In the 1960s and 1970s a new Student Community Action (SCA) movement formed an important aspect of wider student radicalism, and exerted strong influence in national student politics. Over the period 1880-1980 students emerged as a reliable constituency of support for many new social initiatives. Causes including educational reconstruction after the First World War, youth work, unemployment relief, refugees, Aid for Spain, anti-apartheid, nuclear disarmament, housing and homelessness, overseas volunteering and international development benefited greatly from the input of students. Student voluntary action showed great resilience, being reinvented by new generations of students to reflect changing social conditions. Voluntary organisations from the Imperial War Relief Fund to Shelter, from university settlements to Oxfam saw the value in enlisting students’ time and money in support of their cause, supported by dedicated staff and special publications. However, while much of the rhetoric on student voluntarism emphasised service as a way of bridging perceived gaps between students and the community, the results rarely lived up to the promise, and student voluntarism could be plagued by problems of high turnover of volunteers. Although numb ers of students and higher education institutions grew over the period 1880-1980, students remained a small minority of the age group even in the 1970s, a status which fostered a sense of social responsibility. Despite regular criticisms of student apathy, students over the period shared a strong moral impulse, although this manifest itself in ways that may not have seemed particularly progressive to later generations, such as volunteering to drive buses or staff dockyards during the 1926 General Strike. A central concept was that students had special responsibilities to communities outside the university and to the nation, and it was only through fulfilment of these obligations that they could demonstrate the wider social value of higher education. In today’s increasingly marketised higher education sector, universities should be valued not only for producing skilled workers or for fostering economic growth, but for the significant contributions students can make to wider society and to long-term social change. Student Volunteering Week provides one such opportunity. My book A Social History of Student Volunteering: Britain and Beyond, 1880-1980 takes a long view of the student experience in Britain and the ways in which students have engaged with local communities, social causes and international affairs. It will be out in summer 2014 in Palgrave Macmillan’s ‘Historical Studies in Education’ series. In a 2012 VAHS blog post I looked back at what student volunteering was like in 2012, the height of the Edwardian craze for social service and social study. 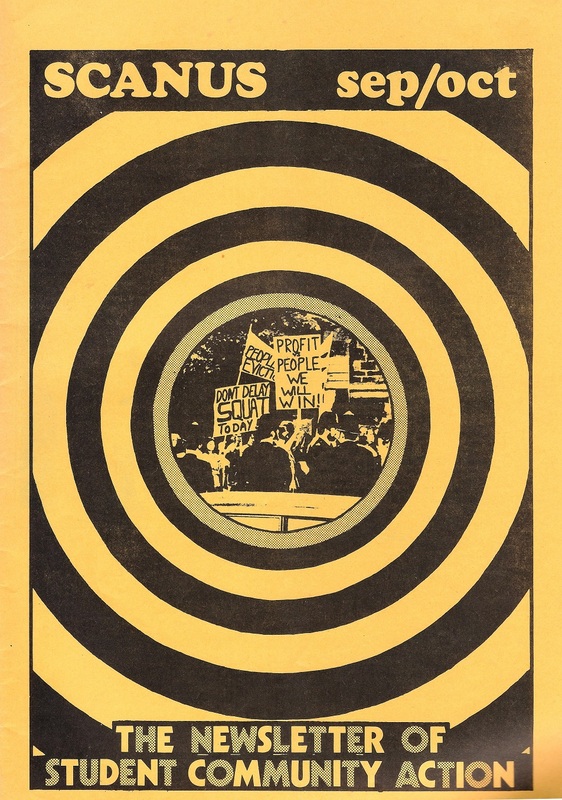 In 2010 a witness seminar organised by the Institute for Volunteering Research and Student Hubs brought together leaders of student volunteering from the 1960s to the early 2000s and can be read online here. A short animated video can be seen here. This entry was posted in Features, Georgina Brewis and tagged higher education, settlements, voluntary sector, volunteering. Bookmark the permalink.